ACDSee has everything you need to manage, perfect, and present your images. Carry out digital asset management and all the essential tasks of your photography workflow in one complete, amazingly fast solution. Achieve stunning results, stay organized, save time. ACDSee can also help us to generate a list of files, here is the instruction for you to do this. 2. Click Folders to show the Folders list. 3. 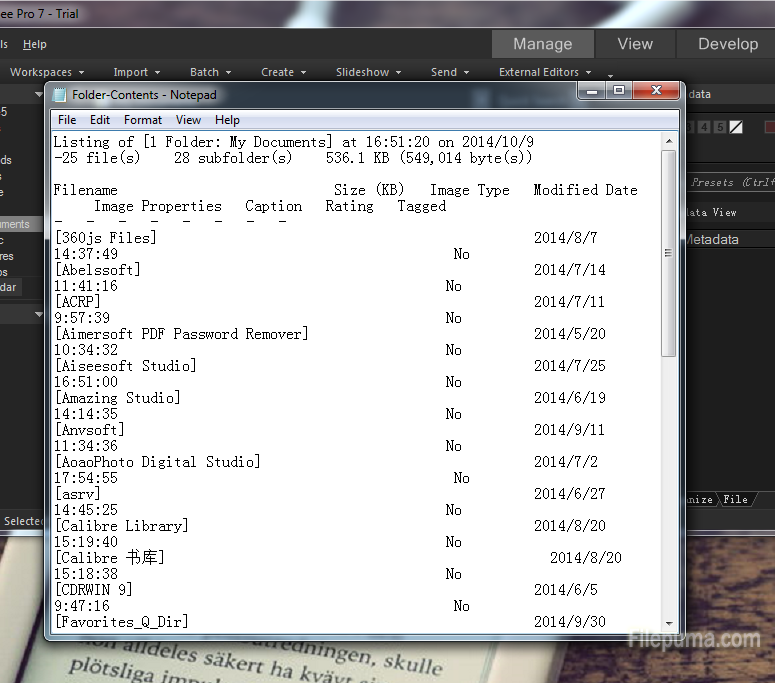 In the folders area, click on the folder for which you want a file list. Here we need to notice that if you want the contents of each folder listed separately, you should generate the list one folder at a time. Or the files will be in the same list. 4. Press Ctrl-G on your keyboard, and then the file list will open in your default text editor.